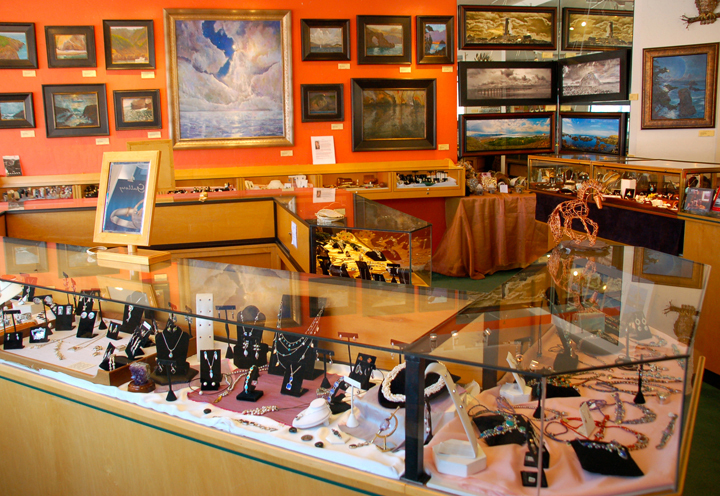 Influenced by the beauty of our location on the central coast of California, Seven Sisters Gallery carries beautiful, and extraordinary one of a kind items of jewelry, art, and gifts, made locally near our home in Morro Bay, California, as well as from around the world. Visit us at our beautiful seaside gallery in Morro Bay, California or online at the7sistersgallery@yahoo.com, for a shopping adventure exploring over 30 different designers and artists. I really like your ‘Welcome’ post and the header. It’s an image that makes me want to come into the store. I was wondering if you would like to guest blog on my site once in awhile as I am interested in hearing from other people, particularly those in the same area. Perhaps a little about how you started the gallery, where you want to go with it, a little more about what kinds of art you handle and whether you, yourself are an artist. Hi Smithharea, thank you for your comment. The store really is very welcoming and I hope you’ll come in sometime. I checked out your blog and I love it. It’s so very inspirational. Seven Sisters Gallery is not actually my gallery. It belongs to a wonderful woman named Patty. Perhaps we can get her to write a little about herself and her own “creative process” around opening her beautiful store. I’m sure it would be an interesting and uplifting story! Will you be showing Ronnie Goyette’s bird pictures that are in your gallery? Hi Bernice, Yes! We have her show up and it’s beautiful. Please come by the gallery and see her incredible images. Is there no email address with which to contact you? Hi Tim. Our email address is: the7sistersgallery@yahoo.com Thanks for the heads up about the link. I’ll look into it.